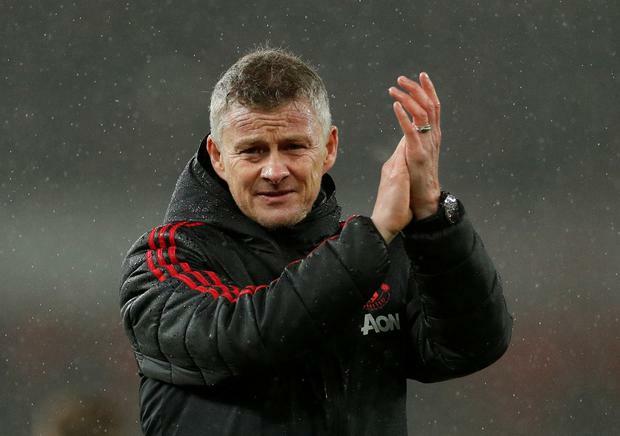 Ole Gunnar Solskjaer described defeat by Arsenal as his "lowest" moment since he took over as Manchester United interim manager in December. The result - Solskjaer's first defeat in the Premier League - knocked United out of the top four and Arsenal are now just one point behind third-placed Tottenham Hotspur after a potentially season-defining weekend in the race for next season's Champions League places. Solskjaer admitted it was the worst United had felt since he returned to the club and said the race for the top four would go "down to the wire". "Today, we were lethargic in the first 10 to 15 minutes, did not have the zip and we did not take the chances," Solskjaer said. "Hopefully, we will be ready for Wolves in the FA Cup next week. "It has been fantastic so far but today is the lowest we have been because we lost and missed the chance to put pressure on Spurs. We have won games we have not deserved to win and today we lost a game we did not deserve to lose." United still have to play Manchester City and Chelsea at Old Trafford, while Arsenal have a more favourable run-in. Spurs' defeat by Southampton and Chelsea's draw at home to Wolves means that the four teams are now separated by only four points. Critical "I don't think nerves come into it yet," said Solskjaer. "Spurs lose, we lose, Chelsea draw, it's going to be down to the wire, the last few games definitely. But we have given ourselves a great chance to be in that fight. Three points behind third, two behind fourth, it's a good position to be in." Solskjaer was critical of the decision of referee Jon Moss to award Arsenal a second-half penalty for a foul by Fred, the Brazilian midfielder, on Alexandre Lacazette. Solskjaer suggested Lacazette had gone to ground easily but refused to say the Frenchman had dived. "I don't think it's a penalty but that's a decision he made," Solskjaer said. "I don't think there is enough contact to warrant a penalty. It's not a dive, but apparently Fred is very, very strong." This was the first time that United had failed to score in 22 away games this season, but they created plenty of chances. Solskjaer said they had created more goalscoring opportunities than in their 3-1 victory in the FA Cup this season. James Ducker Ole Gunnar Solskjaer has cast serious doubt over Manchester United's ability to challenge for the Premier League title next season as the manager told his under-fire players that tonight's derby presents the "perfect" opportunity to show they care.